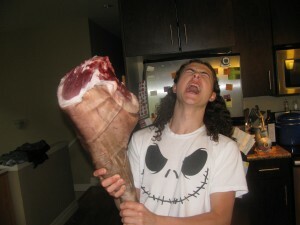 We ordered half a pig, and had the option to have it come to us completely un-cut-up. 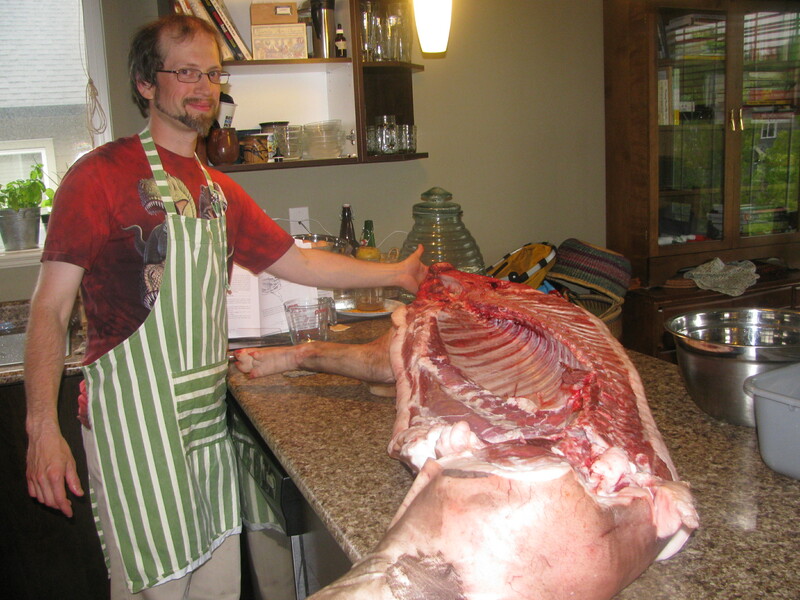 Since Jeremy had, most astutely, taken a course on butchery from Farmstead Meatsmith, we thought we could take this project on. Primary Sous-chef enjoys the idea of MEAT. Over the next eight hours, we butchered this lovely pig. Parts went into a seasoned salt mix for bacon, and the ham went into a tub of brine. We ate the pork chops the next evening, and they were roundly declared the best, juiciest, most tender pork chops in the entire history of food. 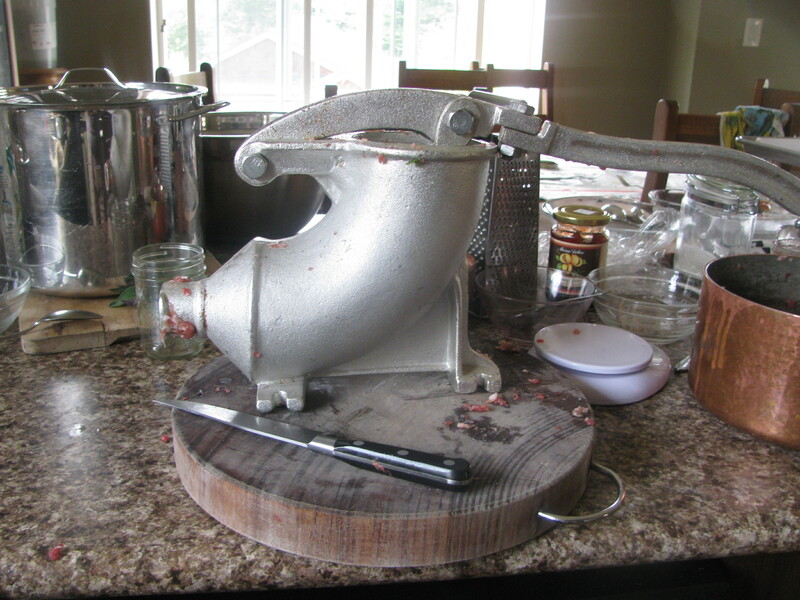 We borrowed a meat grinder and sausage stuffer (thanks, Streetbank! 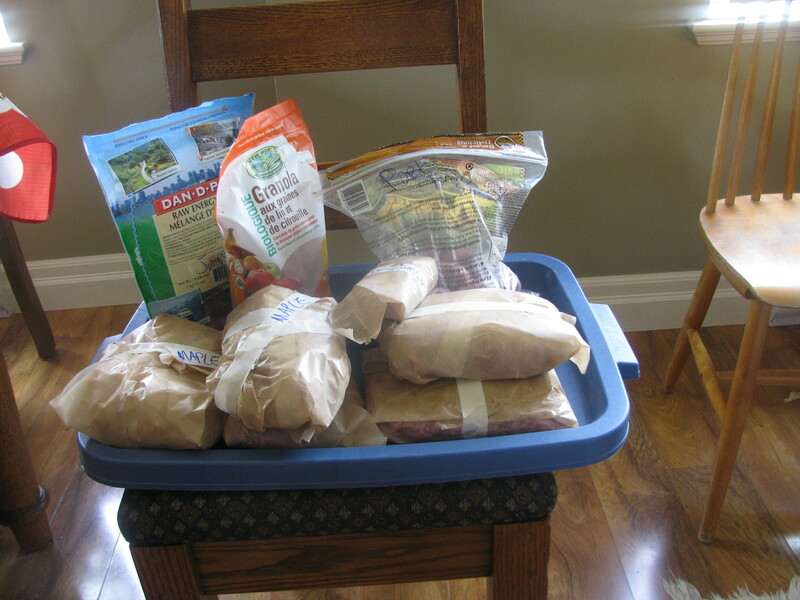 ), and made sausages the next day. Making sausages did not at all enable the proliferation of jokes about anatomy, because as adults we are past all that adolescent nonsense. Home butchery filled our freezer without completely draining our pocketbook, and the work felt good and soul-nourishing. We will definitely do this again. Congratulations – what a wonderful experience!